MS military ceremony showing USAF men standing along coffin draped with the American flag. LS airstrip with USAF men standing in rows during the somber ceremony. MS USAF men carrying coffin coved with the American flag. MSs as USAF men carry the coffins of fallen comrades onto plane to be flown back home. MSs of anti-war protestors marching outside the White House (placards saying "Meet with Viet Cong"; they also burning clothing), intercut with MSs of wounded and fatigued U.S. Marine soldiers in Vietnam (includes CUs of soldiers cradling Vietnamese babies seemingly suffering from napalm burns). Titles. Aerials of rural and urban South Vietnam. MS of an operations officer of the 3rd Marine Amphibious in Da Nang; he talks about their then-current operations, utilizing a tactical zoning map of Vietnam showing the 17th Parallel dividing North and South and the three corps divisions; "Our Marines. They're the finest." Airplanes dropping Agent Orange on Vietnam jungle. 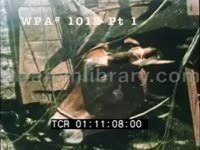 Vietnam War footage: shaky TLS GIs walking through field; MCU Vietnamese woman breast feeding her child while on the run; an APC slogs through rice paddy; GIs patroling along path, burning items on side; a GI sends a German Shepherd scout dog through a foxhole, the dog emerging unscathed at the other end; a (staged?) stuggle between a woman and ARVN soldier; a young man is interrogated by ARVN soldiers; a VC suspect is drowned during interrogation by ARVN soldier; CU Vietnamese woman crying; old man and woman pray for mercy to camera, hands clasped in Buddhist plea; dead VC suspect in grass; agonizing CU Vietnamese boy crying, bringing hand to face. VO explains this is the usual way of imperialism, the spilling of blood. Master 302 - Tape 1 Several LSs of traffic moving along busy street lined with bombed out residential buildings. MSs roof destroyed by bombs. TLSs residential building under construction, traffic moves by in the foreground, reconstruction crews are seen at work. MS bus guarded by a South Vietnamese soldier. Several TLS/LSs stationary busses. 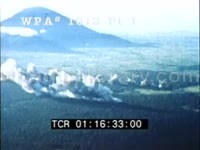 LS air-view of damaged plane smoking, pilot ejects from the aircraft and descends. Air-views of rescue helicopters flying over dense forest. CU helicopter pilot. POV form hovering helicopter as chopper cable is lowered to the ejected pilot on the ground. CU helicopter pilot. MS from hovering helicopter as chopper crew member rides cable down to retrieve the stranded pilot. CU helicopter pilot. POV from hovering chopper as crew member is lowered on cable to retrieve the stranded pilot. CU helicopter pilot. CU hand switching control lever that activates the tow cable. POV from hovering chopper as rescue crew members rendezvous with stranded pilot. CU helicopter pilot as he reverses cable switch to raise them back into craft. POV from helicopter as rescue crew member & pilot are raised via cable. MS rescued pilot sitting inside helicopter. Air-to-air of fighter plane & helicopter flying. MS inside military hospital with injured man laying in bed as he has his leg wrapped by medical staff. MCU injured man grimacing in pain. MCU injured man having foot wrapped. MS/MCU American troops filing into transport plane. MS jeep being driven into transport plane. Ground GV pan as transport plane takes off from airstrip & flies overhead. Air-to-air shot of helicopter flying at dusk, pan to silhouetted chopper stationary on airstrip. LS sunset. LS sunrise over the South China Sea, beach seen in FG. MS rooster crowing on front stoop of house. GV water buffalo grazing. MS tropical bird on branch of tropical plant. LS rice paddy w/Vietnamese farmer in FG tending to crops. MS profile men washing up in outdoor sink basins at remote military camp. GV men lined up at chow tent, being served food. MCU/MS two Forward Air Controllers looking over maps, standing in front of their Cessna O-1 Bird Dog planes parked on tarmac. LS/MS/GV Vietnamese Air Born Troops standing in line, having their equipment checked before heading to combat. GV combat support units loading transport plane. Master 1805 - Tape 1 GV pan as U.S. soldiers walk beside moving tank. MS several soldiers in tank. LS pan as military jet zooms across sky. MS tank rolling along path throwing dust. GV troops and tank. MS armed soldiers walking dirt road, they are followed by a tank. MS armed soldiers walking through brush. GV several soldiers stopped in clearing. MS soldier walking over pile of sticks, pan to entrance to underground bunker or tunnel. CUs sticks and mud on ground used to camouflage underground entrances. GV pan of landscape. MS entrance to cave or crevasse, inside are piles of sticks. MS soldiers in the field preparing an explosive device? MS pan of sticks and mud. MS soldiers placing explosive? in ground. GV soldiers standing and talking. MS smoke rising from ground. GV smoke moving across landscape. MS armed soldier standing after being in crouched position, flames are seen in the distance. GV soldiers walking along dusty road. Air-to-air view of fighter aircraft on mission. POV flying over farm parcels, firing guns. High angle air-view of aircraft flying over lush landscape, the plane releases ammunition that fires from the underside like a missile & casts a spray of ammo (maybe a type of cluster bomb). High angle air-view of Cessna Forward Air Controller plane flying. MCU back view of pilot in the cockpit of Cessna. High angle air-view of Cessna Forward Air Controller plane dropping smoke bomb to mark area for fighter plane. Air-to-air of fighter jet releasing "T" or hammer shaped bomb. Low altitude POV off rear of plane as bomb explosion hits the ground. Low altitude air-view following behind fighter jet as it flies over farmland shooting gun. Air-to-air shot of USAF plane flying over lush terrain of Vietnam, interesting view as mass amount of leaflets (pamphlets) are released from window. 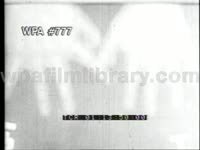 MS inside plane showing man reaching into box and funneling leaflets out the window. Closer air-to-air view of leaflets flying out plane window. Air-view mass amount of leaflets dropped over lush mountainous terrain. GV American pilot inspecting his Cessna plane before flying. MCU pilot checking his reel-to-reel tape machine used to broadcast messages to the locals. GV pan Cessna aircraft taking off from rural airstrip. Air-to-air shot of USAF Cessna plane dropping leaflets. Low angle GV looking up at Cessna flying overhead, dropping leaflets. Good POV from cockpit of low flying plane as bombs hit the ground, destroying targets. Air-to-air shot of plane flying. Air-view of bomb vapor trails hovering. Air-to-air shot of plane dropping bombs. Aerial of bomb explosions ripping through the Vietnamese forest. Air-to-air shot of plane dropping bombs. Several aerial views of consecutive bombs hitting the ground and barreling through the forest. Soldier sits among sandbags relaxing (on guard?). Zoom out. WS gate with camouflauged personnel walking in front of it. MS troops as ease, relaxing in a jeep - one with shirt open. Jean Bartel comes up and talks to them briefly. MSTruck with huge white star on it comes by camera. It stops in front of a building and then proceeds, with another military vehicle in tow. Nice MS of South Vietnamese bicycling towards and by camera. Rickshaws, Small cars, red cross trucks, etc. Esso sign in background. Huge truck with white stars on it - towards camera. Traffic policeman in road as trucks and traffic passes. MCU military jeeps in traffic, pedestrians, and cyclists. Good traffic scenes. Forklift in road. WS zoom in to CU of soldier sitting sandbags, smoking. MWS building exterior with pedestrians. 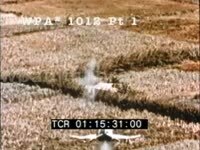 Faded color footage, but useful: GIs on patrol with jeep & truck in field; heavy artillery firing; CU tank; local Vietnamese child in basket/bucket; men in fields with lots of bombs; nice helicopter landing; large transport lands, takes on refugee civilians. MCU two U.S. Marines, flak jackets, M1A1 carbine, (fringe of an urban area, little vegetation) & Thai soldier w/large crest on cap & w/Stenson Submachine gun in fatigues crouched down begin barricade. MS Marines crouched. MCU/pan Marines crouched to area rifles, weapons pointed. MS over shoulders. TLS Marines running cross street in distance. MS young white American Marine approaching Southern Vietnamese MPs (Armed of the Republic of North Vietnam, ARVN, Viet Minh) in jeep on lookout, sandbags, barb wire around, fortification. Jeep windshield says, "Quan Canh" (South Vietnamese Military Police), OC on helmets. MCU South Vietnamese military police officer. MS/pan American Flag Vietnamese soldiers resting. MS/MCU flag to squatted Marine w/M16 in hand & M14 alongside. TLS soldiers crossing street barb wire in FG. MS U.S. Marines in fatigues (Marines) running across street to barrier, combat photographers, (photojournalist?). MCU U.S. & ARVNs firing, one looks frightened, gun is very large to him, M1A1 Garand. MS Marine firing M1A1 others move cautiously ahead, (staged?) TLS open field w/fences. TLS/pan/MCU Marine running ahead in distance, ARVN soldier. MS two crouched behind guard rail, (combat photographers) move ahead. MS jumps rail, continues on. MS winded combat photographer move ahead, one has a short reel 16mm. MS Marine moves ahead across street. (approaching town) TLS Marines & ARVN checking area. MS checking area, standing guard. MCU ARVN (Army of the Republic of Vietnam) soldiers standing around, one has a radio pack on, all wearing U.S. combat fatigues, one has a red collar that stands out. MS U.S. Marines resting, one closest wearing a flak jacket, (breathing heavy, looks into camera) other combat photographer w/black rimmed glasses hanging out of his mouth & camera in hand. TLS people waiting by a bus, others coming across street, dog too. TLS Marine helmet in FG. (back of helmet says, "Make pot legal.") TLS/pan crossing street to helmet. MCU/pan bloody white cloth, Marines on ground in distance. MS ARVN resting, one is handed a cigarette. 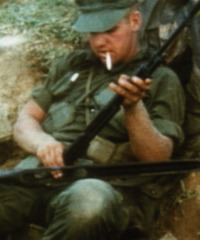 MS Marines resting, seated on ground. MS white Marine runs up, smiling, looks pleased. MCU Marine approaches w/bottles of "Coca Cola." MS Marines seated, one is a black Marine, some ARVNs soldiers. TLS street, man on scooter passes, someone laying in street, gets to side comes around fence toward camera. TLS Marine moving low, towards jeep. CU card says, "31/1/68, eat/day." MS empty streets, motorcycles left behind, jeep. MS of an American marine tossing a grenade into an underground Viet Cong bunker in the jungles of Vietnam. TLSs of naval cruiser cannons firing, the spent shells rolling about the deck; WLSs of explosions on shoreline in distance. MS/CUs of U.S. marines on deck of cruiser, boarding pontoons. 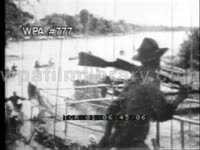 Operation: Piranha (Sept 7, 1965, a 4 day search and destroy action by combined United States and South Vietnam military forces against a suspected stronghold of 2000 Viet Cong guerillas on the Twin Peninsulas of ??? MS/CUs of marines on river boats and pontoons sailing for coast. MSs of amphibious vehicles landing on beach, marines storming the beachhead. MS/TLSs of 3rd Battalion marines boarding helicopters, taking off for inland destination zones; great TLS of chopper landing, followed by MSs of soldiers deploying; LSs of the Marine UH-34D helicopters taking off again, in flight. MS/CUs officers working on tactical maps. Color: MSs U.S. Marines and South Vietnamese ARVN soldiers fighting NVA forces (these particular shots are actually from Tet offensive in 1968); TLSs American A-1 H Skyraider fighter bombers dumping napalm bombs in Vietnam (phosphorescent flash, explosion); MS body in bodybag; MSs mass of Vietnamese refugees walking along road w/ what little they have left. B/W: GV interior eerie looking classroom void of children, open books on desks flutter from a breeze. MS row of dead Vietnamese children. MCU pan faces of the dead children. CU religious painting & crucifix in wreckage of destroyed Christian church. MS boy sifting through rubble of the church. MS American POW being helped to his feet by two other American prisoners. MCU American pilot (prisoner) walking while someone off screen holds a knife at his throat. CU air force identification card. Air shots of military planes flying, chemtrails, releasing napalm or Agent Orange. B/W: View of plane. CU foot of child born w/ six toes due to mother's exposure to defoliants (Agent Orange). CU deformed feet of child (birth defect). Air shot of U.S military plane dropping bombs. CUs Vietnamese child born w/ physical deformities (birth defects). MS Vietnamese woman seated on hospital bed holding her infant child born w/ physical deformities due to defoliants. Low angle view of U.S. military plane flying overhead. POV bombs dropping from belly of plane. MCU young Vietnamese boy crying & wiping tears from his eyes. MS Vietnamese children crying, pan to open child size coffin w/ body dressed in cloth. Air shot of U.S. military plane dumping an insane amount of bombs. Color: MS/MCU military officer talking to American GIs. B/W montage: Tanks & troops moving through town, Vietnamese political leader, South Vietnamese protesters in the street. TLS/MSs of U.S. Marines on patrol. MSs of marines searching through a village, inspecting thatched roofs of huts, pulling automatic rifles from hidden supply holes, questioning civilians, etc; MS Marine wearing flak jacket walking with Vietnamese man. MSs USMC and ARVN officers conferring on beach. TLS of a single engine plane flying over rice paddy, patrolling marines. MS of heavily armed tank on the move. TLS of a marine tossing a grenade in a field; explosion. Panning WLS of sunset over Gulf of Tonkin, several cruisers in silhouette. MSs of marines going into underground tunnels with flashlights and Colt .45 pistols at the ready. MSs of marines firing bazookas and mortars at a Viet Cong occupied hill. TLSs of American A-4 Skyhawk jet fighters taking off, in flight, engaging in an air strike mission (launching missiles, dropping bombs). Low angle TLSs of a C-130 Hercules transport plane in flight. MSs of marines wading through rivers, marching through jungle, engaging the Viet Cong in combat-- note that most Marines wear flak jackets; great shots of marines taking prisoners, leading captured VC from foxholes and underbrush in jungle. MS of Marine speaking into megaphone outside tunnel; MS Marine tossing grenade into tunnel. MS marines outside cave, pan down to dead VC at entrance. MS Marines outside large limestone cave entrance; MS dead VC; MSs seized cache of weapons on ground. MSs of captured VC being lead to a POW compound. CU sign: POW STOCKADE. MSs of Viet Cong POW's being led into area sectioned-off by barbed wire. MSs wounded marines being carted from rescue helicopter aboard naval carrier. MS rock cave entrance. MSs Caucasian soldier crouched inside cave, using flashlight during inspection; a South Vietnamese guide (tunnel rat) joins him, takes flashlight and lead while GI readies M-16; soldier moves rock, climbs deeper into cave (note the crucifix around his neck); light flares appear toward end of reel. Excellent MSs of U.S. marines patrolling through the jungle, through rivers and ravines and marshlands. MS/CUs marines engaged in jungle combat: rifle and machine gun fire; waiting in trench for aerial support. TLSs of pilots racing for their F-4 jet fighters, boarding them, taking off, in flight. MS and low angle CU of a marine talking on a field telephone, looking into the sky. LS/TLSs of the fighters strafing the hot zone area with bombs and missiles. CU of a smoking hot M-60 machine gun; MSs marines in trench, firing M-60, another marine feeding it ammo. MSs of navy corpsmen tending to wounded marines on front (Caucasian medics bandaging African-American soldiers); MSs marine loading wounded onto rescue helicopter; MSs of medics working on a wounded man aboard a Red Cross cruiser. MSs of medics looking through microscopes, making chemical compounds aboard ship. TLS Red Cross emblem on steamstack of cruiser. MS Marine artillery crew. TLS an artillery shell exploding in the distance, with a large plume of white smoke. MS Marines moving equipment, placing rounds in bunker, loading artillery rounds. MS loading artillery, U.S. airplane flies overhead, one Marine trying to hear something on the radio. MS crew fires its gun, looks to see its impact, smoke billows from barrel, then Marines turn around to smile at the camera after the round hits in the distance. MCU more loading & artillery fire. TLS smoke in distance. MS Marines walking away. CU card. TLS/HA the dump exploding, burning. TLS the dump burning, smoking taken over a Marine's shoulder in the foreground. MS Marine takes photos, crouches, cautious. TLS more explosions. TLS over photographer's shoulder. TLS dump from a different angle. TLS dump, Marines walking around dump area as ammo explodes. CU blurred card. LS U.S. Army Bell UH-1 Iroquois "Huey" helicopters near Khe Sanh valley in South Vietnam. Panning MS Huey helo coming in for landing, U.S. Marines in full combat gear stepping forward. MS US Marines running past camera. TLS U.S. Marines boarding helo. Great panning MS Huey taking off, passing camera. MS U.S. Marines and U.S. Army soldiers of 1st Cavalry marching along dirt road toward cam, one talking on field radio. MS two male ARVN (South Vietnamese Army) soldiers marching past cam. LS US Marine throwing grenade over hill, explosion. MS African-American male US Marine taking cover behind oil drum near fallen comrade. MS three white male US Marines kneeling beside captured enemy tripod-mounted artillery gun. MS/CUs displayed cache of captured enemy grenades (both traditional & rocket-propelled including Soviet-made RPG-2), artillery & machine gun ammunition, AK-47 assault rifles & Chinese-made knockoff rifles, first aid medicine, etc. TLS two white male US Marines watching several captured Viet Cong. TLSs captured VC being marched from helicopter, along tarmac under ARVN watch. LSs U.S. F-4 Phantom II, A-6 Intruder jet fighter planes dropping bombs, firing missiles on various sorties during Khe Sanh battle. TLS/MSs U.S. Marines loading, firing field artillery, howitzers. TLS white & black male US Marines in full combat gear including M1 steel helmets & flak jackets on patrol by river, marching toward & past camera. MSs white male US Marine wearing flack jacket bringing seized enemy rocket launcher into bunker cache. MSs wounded US Marines being stretchered from ambulance, walked along tarmac, loaded onto U.S. Air Force med-evac helicopter. Aerial shots of thick misty clouds, mountain range near Khe Sanh, South Vietnam. Aerial shot of abandoned U.S. Marine military airfield, runway at Khe Sanh. Brief still montage of U.S. Marines engaged in combat, carrying wounded comrades. LS three U.S. Marines using fire extinguishers to tame flames of burning U.S. military cargo airplane. LS/TLSs abandoned sandbagged bunkers, trenches of U.S. Marines outpost in Khe Sanh. Opening credits. FO. The French fail at Dien Bien Phu, and the resulting capitulation, thereby ending the French-Indochina War, 1954: WLSs open parachutes flooding sky, French Foreign Legion paratroopers descending to ground, Vietnam; MS bearded white male French pilot talking on radio; LS paratrooper descending, landing; MS white male French paratrooper unhooking parachute pack; LS French outpost; TLS/MSs French artillery units firing howitzers; LS ground explosions; MSs French legionnaires in combat, patrolling through jungles, thick brush; MS French soldiers carrying wounded soldier in netting; CU white male Legionnaires; MS French medic dressing wounded in field; semi-silhouette MS French soldiers carrying wounded soldier on stretcher; MS war-weary legionnaires passing cam; MS/CUs French & Vietnamese delegates signing armistice in Geneva; TLS Soviet delegation reading statement; TLS Vietminh leader HO CHI MINH standing beneath Communist Vietnam banner, Viet Minh General VO NGUYEN GIAP standing to side; MS General Vo Nguyen Giap. Air to air shots of two U.S. Marine Corps F-4 Phantom II jet fighters in flight over Vietnam. MS two white male U.S. Air Force airmen reviewing maps, one using loupe looking glass. Graphic map depicting U.S. military forces in Hue & Phu Bai in South Vietnam. CUs United States Marine Corps Colonel David E. Lownds speaking to camera about the battle of Khe Sanh. TLS/MSs black & white male U.S. Marines loading, firing 81mm mortar and field artillery guns during combat. Low angle LS US Marines F-4 Phantom II jet fighters dropping dumb bombs & incendiary bombs on enemy targets, UH-1 Huey helicopters strafing enemy positions at Khe Sanh. South Vietnamese & U.S. (predominantly the New York Time) newspaper headlines regarding the battle of Khe Sanh, some raising the ugly specter of Dienbienphu. Great MS Commander of U.S. Forces in Vietnam U.S. Army General WILLIAM C. WESTMORELAND speaking to troops at outpost in South Vietnam, his hands planted on his hips; panning MS Caucasian, Hispanic & African-American male U.S. Marines listening to Gen. Westmoreland, most with M1 combat helmet tucked under arms; TLS/MSs black & white male U.S. Marines loading, firing big M107 175mm howitzer field artillery gun; CU African-American male Marine talking on field telephone, waving pencil in air. LS US Marine firing 155mm howitzer from outpost trench. TLS/LSs Quad cannon tank rolling through compound. MS black male US Marine wearing headset, talking into microphone from trench. MS white male US Marine loading, firing 81mm mortar from trench, fellow Marines plugging ears with their fingers. TLS black male US Marine firing M-20 Super Bazooka (3.5 inch M20 rocket launcher) from crouch position, several Marines standing nearby, all wearing combat gear including flak jackets. MSs shirtless male US Marines loading, firing 155mm howitzer from outpost. TLS/MSs U.S. Marines carrying wounded white male Marine on stretcher at outpost in Khe Sanh, South Vietnam. TLS white male US Marines trotting across field w/ M-16 assault rifles. 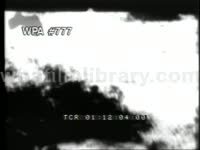 LS thick black smoke pouring from burning aircraft on outpost airfield. TLS U.S. Marines working behind sandbags at garrison. LS C-123 Provider cargo plane taxiing along runway, passing thick black smoke from burning aircraft. Panning LS U.S. jet fighter swooping on bombing raid, blasting enemy positions on flanking hillside. Panning LS U.S. Marines F-4 Phantom II jet fighter dropping incendiary bombs. Air to air shot of U.S. B-52 Stratofortress jet bomber in flight, dropping numerous dumb bombs. LS numerous explosions on hill, sandbags in FG. TLS/MSs white male U.S. Marines in full combat gear marching w/ M-16 assault rifles & M-60 machine guns, patrolling outer outpost perimeter lined with barbed wire. Excellent slow motion aerial shots of bombs falling from in-flight bomber, exploding on ground; fragmentation bombs, bomblets literally flooding, littering the sky upon deployment from bomber; stunning aerials of ground explosions including river valley. LSs B-52 Stratofortress jet bombers taking off, black contrails streaking behind them. Air to air shot of B-52 dropping string of bombs, both day & night. LSs bomb explosions, night. TLS U.S. Marines crouched, standing behind sandbags at outpost in Khe Sanh, South Vietnam. TLS/MSs 155mm howitzer being fired, reloaded. TLS African-American male U.S. Marine firing M-20 Super Bazooka (M20 3.5 inch rocket launcher) from crouch position. Panning low angle LS A-6 Intruder jet fighter in flight. Rear view MS white male US Marine firing M-60 machine gun; note the writing on the back of his flak jacket-- "NVA Exterminators, Inc." Panning LSs jet fighters conducting air strikes, firing missiles and dropping bombs on enemy positions. TLSs US Marines leaving encampment. TLSs US truck convoy driving along Interstate 9. Traveling shot Vietnamese family outside grass hut. MS sign: "Interstate 9, Open to Khe San, Courtesy of 11th En. Bn. Co. A." VO: "These are the relief troops of Operation Pegasus." TLS/MSs U.S. Army soldiers of the 1st Cavalry, U.S. Marines & South Vietnamese Army (ARVN) marching along dirt road. Traveling shots of bomb craters, destroyed houses, and bridges. Panning MS black soldier of 1st Cavalry running w/ M-16 assault rifle. MSs enemy booby trap mine being discovered, detonated & destroyed by US forces. MS Commander of U.S. Forces in Vietnam U.S. Army General WILLIAM C. WESTMORELAND entering room at U.S. Air Force base in Thailand, May 23, 1968; panning TLS General William Westmoreland speaking to U.S. airmen; MSs Gen. Westmoreland pinning medals to chests of USAF airmen. MS U.S. President LYNDON BAINES JOHNSON (Lyndon Johnson, Lyndon B. Johnson, LBJ) pinning award to flag of U.S. Marine 26th Regiment at Washington DC press conference, shaking hands with Sergeant Major A.W. Smith holding flag. MS United States Marine Corps Colonel David E. Lownds receiving Navy Cross at award ceremony; MS Sgt. Maj. A.W. Smith receiving Bronze Star. MS U.S. President Lyndon Baines Johnson speaking at press conference: "Some have asked what the gallantry of these Marines and airmen accomplished, why did we choose to pay the price to defend those dreary hills? The fortress at Khe Sanh straddled critical infiltration & supply routes that the North Vietnamese were using. Route 9 which it commanded was to be a major avenue for the enemy into populated areas & into the cities of South Vietnam. By pinning down & by decimating two North Vietnamese divisions the few 1000 Marines & their gallant S. Vietnamese allies prevented those divisions from entering other major battles such as those for Hue." B/W: TLS American GIs walking through tall grass. LS GIs approaching thatch roof home. MS armed soldier cautiously entering thatched roof house. MS soldier crawling out of underground bunker. GV American GIs apprehending Vietnamese man, tying his hands behind his back. MS soldier tying blindfold over eyes of Viet Cong man in custody. Color: MS soldier placing hood over Vietnamese woman in custody. MS tank w/ "War is Hell" written on it rolling past camera. B/W: LS aftermath of apparent massacre, GIs standing over bodies on the ground. MCU American military officials conversing. GV soldiers standing over bodies on the ground. 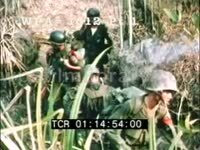 MS South Vietnamese camera crew (16mm Mitchell camera with crystal synch sound) filming U.S. Army infantry in Vietnam. MSs weary Caucasian and African-American U.S. infantry soldiers marching past camera in Vietnam. TLS/MSs of cease-fire being drawn & signed between Vietnam and United States at Majestic Hotel in Paris, France, 1973. Color: TLS US Army infantry unit deploying from Huey helicopter in Vietnam; MSs soldiers engaged in combat in jungles & fields; advancing, firing M-16 and M-60 guns; firing mortars; TLSs Hueys landing in field, infantry soldiers deploying. Color: TLS/MSs US Army soldiers fighting in jungles of Vietnam. CU wounded soldier crying out. CU surgical needle being pulled from sterilized metal container. MS GIs loading wounded soldiers onto Red Cross Huey helicopter. MS wounded African-American soldier hobbling, falling, Caucasian GI helping him. MS field medics (corpsman) working on wounded GI. Great TLS of several U.S. marines passing along golden-lit shore, a cruiser in the BG. MSs marines patrolling through a village, talking with S. Vietnamese (ARVN) soldiers. CU Marine talking on field telephone. CUs of marines listening to an officer giving orders. MSs Marines on patrol, fording rivers. Great air to air shots of a jet fighter in flight, making a stiff right angle. Aerial of a jet launching a missile into the jungle, making a spectacular hit (almost like a concussion bomb). MS U.S. Army soldiers (African American & Caucasian) in jungle; three radio men with radio packs. MS two soldiers-- one black, one white, both smoking cigarettes and not wearing helmets-- leaning at tunnel entrance; one has Colt .45 Mk IV Series 70 Government model pistol, the other a M-16 assault rifle. MS soldiers helping young South Vietnamese man into semi-hidden tunnel (tunnel rat). MS African-American GI entering cave. MS Caucasian soldier, smoking cigarette, walking up incline with flamethrower. MSs soldiers standing outside caves, beside large rock cluster. MS South Vietnamese man in cave entrance, US Army GI crouched outside; both stop to use radios. MS S. Vietnamese tunnel rat & GI walking down rock cluster. MS GI leaning against rock with M-16 in hand. MS African American GI walking by cam, cigarette in mouth & M-16 in hand; a Caucasian GI with radio pack and M-16 peers into brush. MCU GI with "Nancy" scrawled onto helmet walking by cam. MSs soldiers marching up incline, trudging through brush. MS GIs entering cave, S. Vietnamese guide / informant watching. MCU Caucasian soldier wearing helmet, at rest. MS two soldier resting on hill, one cleaning M-16, the other talking on field radio. MSs white soldiers of 1st Cavalry Division crouched by tunnel entrance in field; MSs African American soldier climbing into tunnel, working way down; MSs soldiers lowering explosive canisters into tunnel; MCU homemade VC bomb; TLS large explosion on hilltop, Viet Cong tunnel being destroyed. MS soldier setting detonator charges to brick bar of C-4 plastic explosive. Hoa Lo Prison (1896) aka the "Hanoi Hilton" where pilot (later Senator) John McCain was imprisoned. Called "Maison Centrale" because it was French built. Exterior building with words "Maison Centrale" over arch of doorway; tilt up to tall modern building. Sign: Hoalo Prison. Detail of directions on sign, cameraman's finger points out the instructions "No frolicking." Cameraman reads more words: "Toilet in fixed places" and he adds, "You can't take it." Lost in translation, funny, humor. Aerials of tunnel complex in field after being destroyed by U.S. Army. Aerials villages. TLSs series of large explosions along overgrown hill (enemy tunnels being destroyed). MSs Caucasian U.S. Army soldiers crouched behind embankment in field, watching explosions; one hold field telephone. MS Caucasian 1st Cavalry soldier talking on field phone. MS two African-American soldiers walking up crevice in rock face, M-16 rifles in hand. MS fresh-faced Caucasian GI standing with M-16. TLS fire burning inside cave, soldiers watching outside. MS soldier standing guard behind rock overlooking valley. MSs soldiers descending rock cluster in jungle. MS white soldier crouched on rock overlooking suspected tunnel. MS white GI smoking cigarette, flamethrower fuel tanks strapped to back. LS of an American aircraft carrier sailing off coast of Vietnam. MSs men loading Douglas A-4 Sky hawk jet fighters with bombs, missile and ammunition bandoliers. Excellent montage of numerous A-4 Skyhawk jet fighter planes taking off from carrier. TLS of a rescue helicopter taking off from carrier; MS/TLSs of a "swimmer" being lowered from a rescue helicopter in order to save a downed pilot stranded on a rocky inlet; successful rescue effort. MSs aboard a naval destroyer as navy men load large shell ammunition into ship artillery; LSs of the guns firing on the coastline, providing cover fire. LSs of an amphibious task force carrier (a LPH, collectively known as a special landing force) sailing in the ocean; TLSs of Marine UH-34D helicopters on deck; MSs of Marines soldiers boarding choppers; TLS Marine helicopters taking off, later landing; MSs Marines deploying from choppers for jungle. TLSs beach assault group wading through shallow waters from pontoons. TLS of Marine UH-34D helicopter landing, soldiers exiting. LS/MSs of soldiers wading through rice paddy, engaging in battle; MS medic bandaging arm of wounded soldier in rice paddy; MS Caucasian officer on field phone, radioing for air support. TLS of a US Marine soldier walking away from a burning village hut. MSs Marines and ARVN patrolling village. MS/CUs of Vietnamese villagers at work, cutting vegetables, carrying water, etc; eventually the marines happen along, who end up tending to wounds of local children. MSs marines working with local popular force, inspecting weapons, on jungle and river patrols. MS/TLSs of civic-minded marines helping South Vietnamese villagers with construction... okay, no adults are present, just a mess of local children eager to lend a smile, a hand and a hoe for the funny glass prism capturing their image at 24 fps. MSs of a marine lathering and shampooing a Vietnamese boy. MS marines taking temperature of local man at medical shelter. TLS Marines running towards helicopters in distance. MS some Marines standing at the back of an red cross ambulance. MS/MCU Marines approaches the camera, full pack, helmet, duffle, 5.56mm M16 assault rifle. Area appears devastated, run down buildings, trash. MS smiling Marine with his arm in a sling, waves. TLS Marines moving supplies, equipment w/forklift, large cloud of smoke in BG. MCU material, more activity as Marines burn some kind of material, one appears to be dumping out gasoline. MS red cross truck moving, Marines working, helicopter in the distance as ambulance and jeeps drive off. TLS over Marines shoulder looking at distant trees. MCU Marine w/black rimmed glasses firing his rifle. TLS smoke from an artillery round billows up with barbed wire in the FG. MS shaky shot of U.S. Marine running toward what appears to be an ammunition dump on fire. TLS another explosion, Marine crouches in FG. TLS explosion in the distance. MS/pan Marine looking through binoculars, fire. TLS explosion continuing, Marine ahead crouches behind sandbags. The fire continues to burn out of control with a series of explosions. MS Marine stands in the foreground, taking a snapshot of the exploding ammunition. TLS more explosions. CU blurred card. MS/MCU United States Marines (soldiers) getting into United States Marine Corps truck and driving off, waving. MS people on the beach (China Beach, South Vietnam) some black & white people. MS two U.S. Marine soldiers w/rifles (M16) walking along fence. MS tank in sand. CU black marine soldier. MS Marine soldiers patrolling fence. MS marine soldiers exiting building out of uniform approach the beach, one is a black man. MS approach the water. MS marine soldiers on China Beach, swimming, playing volleyball & relaxing. Panning rear view TLS white male US Marines in full combat gear including M1 steel helmets & flak jackets standing behind sandbag wall at US Marines outpost in Khe Sanh, South Vietnam, waiting for enemy attack; MS US Marines behind sandbag wall, manning M-60 machine guns, waiting, talking to one another; MSs white male U.S. Marines filling sandbag with dirt, another cleaning pin of artillery gun. MS two white male US Marine officers playing cards in bunker; CU playing hand being fanned out; CU surly-brow lieutenant drinking from tin cup. MS two white male US Marines talking in trench, one cleaning M-16 assault rifle. TLSs three white male US Marines playing basketball on desolate outpost, one taking deep shot-- nothing but net! MS white male US Marine wearing sunglasses, scarf around neck while sitting amongst sandbags & reading letter-- note the can of Miller High Life beer to his right. CU shirtless white male US Marine reading paperback novel in bunker. CU family photo on wall. MSs white male US Marine perusing book shelf, selecting one, reading passage, nodding, then walking away. MS white male US Marine getting to bed, tucking himself under camouflage covers. MS white male US Marine on sentry watch, day. MS "The In-Crowd" sign on sandbag wall. MS/CUs bearded, bespectacled, beatnik-esque white male US Marine playing acoustic guitar near sandbags, comrades sitting & listening, machine guns all around; one Marine w/ sleeves rolled to shoulders & bullet bandoliers crossing chest hops off platform, skulks off with M-16 assault rifle in hand, passing dressed-down white male Marine washing shirt in bucket outside bunker. MSs white US Marines eating, cooking c-rations in bunkers, trenches. MS/TLSs two African-American male US Marines in trench, one writing letter while the others eats from tin cup. MS/CUs tattooed, shirtless white male US Marine smoking cigarette while cooking c-ration casserole stew. CU white male US Marine lieutenant eating stew in bunker, seemingly enjoying the taste. MS/CUs white & black U.S. Marines eating at outpost. FI MS/CUs United States Marine Corps Colonel David E. Lownds speaking to camera about the battle of Khe Sanh, then moving to scale model of area, using pointer, continually referring to Hill 861. LS artillery explosion on hill; TLSs white male U.S. Marines sticking fingers in ears, firing vehicle-mounted M102 field artillery gun; LS artillery round hurtling, exploding on hill; TLS African-American male U.S. Marine loading 81mm mortar, covering ears, & firing round while white male US Marine covers ears from trench, cranks mortar base. More of USMC Col. Lownds discussing Khe Sanh, using scale model to show Hills 881, 861, 950. TLS/MSs U.S. Navy Seabees using tractors to plow soil, building airstrip at Khe Sanh valley in South Vietnam, US military cargo plane taking off in BG. TLS/MSs white male U.S. Marines building bunkers, digging trenches, stacking sandbags. TLS/MSs U.S. Marine unit patrolling dense jungle. Air to air shot of two U.S. Marine F-4 Phantom II jet fighters in flight. MS four white male U.S. Air Force officers conferring, reviewing recon photos; CUs aerial reconnaissance photographs. Panning MSs Commander of US Military Operations U.S. Army General WILLIAM C. WESTMORELAND walking through military outpost in Vietnam, saluting, boarding awaiting helicopter; great MS Gen. William Westmoreland seated aboard Bell UH-1 Iroquois "Huey" helo; TLS Huey taking off; LS Huey flying over trees; MS four white male U.S. Marines in combat fatigues standing in field, burly major in FG smoking cigarette; MS white male US Marine Major General, ARVN officers alighting Huey; MSs Gen. Westmoreland meeting Marines, smiling, shaking hands, walking away w/ major; MS/CUs Gen. Westmoreland, Marine Major, officers conferring in field, consulting map. TLS U.S. Air Force airmen working on light tables, viewing recon photos. Panning LS U.S. Air Force cargo plane with camouflage paintjob taxiing after landing at outpost. MS colorful wooden sign: "Welcome to Khe Sanh, MATCU 62 Airfield Operations." Panning TLS U.S. Marines in full combat gear (including flak jackets) walking along runway, helping unload cargo plane. VO purportedly supplied by William Westmoreland. LS U.S. Marine garrison in Khe Sanh receiving enemy artillery fire. Shaky MS white & black US Marines taking cover in sandbagged trench. MSs US Marines loading, firing 81mm mortar, vehicle-mounted field artillery gun. Low angle LS US Marines jet fighter dropping bomb. CUs United States Marine Corps Colonel David E. Lownds discussing battle of Khe Sanh, using scale model of area in office. LS US Marine outpost ammunition dump in Khe Sanh. Spectacular LS/TLSs explosions at ammo dump. LSs US Marine artillery units firing from garrison during siege. LSs U.S. Douglas A-1 Skyraiders fighter-bombers dropping bombs, conducting air strikes against enemy positions. MSs US Marines loading, firing field artillery guns, 81mm mortars, returning fire. TLSs Marines taking cover in sandbag trenches. LS Marines carrying wounded on stretcher. LSs airstrip under fire while U.S. C-130 Hercules cargo plane taxis, explosions barely missing the aircraft. Panning LS U.S. Marine encampment (base, outpost, garrison) at Khe Sanh, South Vietnam. MSs white & black male U.S. Marines in full combat gear including flak jackets (flack jackets) while standing in sandbagged trench, one using binoculars. MS African-American male US Marine eating rations from tin can while standing in trench, white Marine in FG. CUs United States Marine Corps Colonel David E. Lownds using scale model of Khe Sanh in office. TLSs white & black male U.S. Marines on patrol through hilly terrain of Khe Sanh, some men carrying mortar components, some running down steep incline hill. TLS/MSs US Marines firing vehicle-mounted field artillery gun from hill. LS/TLSs U.S. Navy Grumman A-6 Intruder jet fighter bomber planes being catapulted from deck of U.S. Navy aircraft carrier sailing off the coast of Vietnam. Panning TLS/LSs U.S. Marines F-4 Phantom II jet fighters taking off from airbase. Air to air shot of U.S. B-52 Stratofortress bomber plane in flight; high angle MS numerous bombs falling from bay doors; aerial of several ground explosions. Low angle LS/TLSs C-130 Hercules cargo plane dropping supplies, numerous parachutes opening & descending. Low angle TLS U.S. C-123 Provider cargo plane in flight, releasing supply chutes. Nice slow-motion MS crates falling from rear bay door of cargo plane. Tilting TLS supply crates landing on ground. Great LS U.S. C-123 Provider cargo plane flying low, dropping supplies to U.S. Marines on ground. CU white male U.S. Marines officer wearing M1 combat helmet w/ camouflage cover, using field telephone radio. LS/MSs supply crates falling from cargo planes, parachutes opening & descending to ground. Great panning LS C-123 Provider cargo plane w/ camo paintjob flying very low over US Marines outpost in Khe Sanh. Panning TLS C-130 Hercules cargo plane e/ camo paintjob taking off from outpost airstrip. Panning LSs C-123 Provider & C-130 Hercules cargo planes w/ camouflage paintjobs landing at outpost. MSs white male U.S. Marines in combat fatigues including flak jackets unloading supplies, one Marine wearing boonie hat using tractor to load equipment... note the Confederate & State of Texas flags on the tractor. CU white male U.S. Air Force technician wearing radio headset while writing, drawing enemy troop movement on translucent board at command base in South Vietnam. Sideview MS white male U.S. Marine wearing flak jacket, M1 steel helmet while firing M-60 machine gun from sandbag trench at outpost in Khe Sanh-- note the tattoo on his right arm. LSs enemy artillery fire explosions at outpost during firefight. Rear view MS white male US Marines firing M60, engaging the enemy. TLS/MSs older white male U.S. military officers walking through Cincpac (Commander in Chief, Pacific Fleet) Command Center, young white male US Marine saluting as they pass. Panning LS misty, foggy, mystic Khe Sanh valley. LS U.S. Marines F-4 Phantom II jet fighter in flight, dropping bomb near US outpost. LSs ground explosions. Rear view MSs white male US Marines in full combat gear firing heavy machine gun, manning hillside positions. MS US Marine digging foxhole on hill. 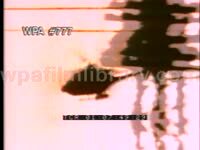 LS/TLSs US Marines Bell UH-1 Iroquois" Huey" helicopter coming for landing, passing over camera. TLS/MSs white male U.S. Marines patrolling through jungle in Vietnam; MS white male US Marine in natural camouflage using radio. TLS/MSs African-American and white male U.S. Marines in full combat gear including M1 steel helmets & flak jackets marching along dirt road, carrying weapons including M-16 assault rifles, M-60 machine guns, & M-20 Super Bazooka rocket launchers. TLS/MSs U.S. Marines crossing bridge, passing barbed wire. Panning CU black male US Marine on patrol. Audio of U.S. President Lyndon Baines Johnson speaking at press conference: "I believe that our initiative toward talks w/ North Vietnam was greatly strengthened by what these men did at Khe Sanh... Brave men such as the 26th Marines who will carry on the fight for freedom in Vietnam. And soon, God willing, they will come home. We would like nothing more than to see that day but until they do we shall express on moments such as these our great gratitude..." Aerial shot of abandoned U.S. Marine airfield outpost in Khe Sanh. TLS/LSs abandoned sandbag-lined trenches & bunkers of Marine garrison, American flag flying from flagpole. Closing credits. MS two Marines carrying bloody body of dead Viet Cong guerilla in field. MSs U.S. Marines & ARVN soldiers firing guns from rooftop during Tet Offensive. Panning TLS UH-1 Huey helicopter with Red Cross markings landing in a field, resting infantry soldiers standing by APC turning their heads to watch it. CU bloody leg of Viet Cong man blown off by a rocket lying on ground, cut to MS ARVN officer picking it up, jokingly holding it for the camera before tossing it at them-- really intense footage. MSs Vietnamese women crying, walking along street. CU US infantry soldier speaking at a press conference regarding Mylai Massacre. MS Lt. WILLIAM CALLEY walking to building from parking lot. The fall of South Vietnam. MSs Americans fleeing, evacuating embassy building in South Vietnam; TLS Americans boarding CH-53 helicopter; l/a LS U.S. Marines CH-53 helicopters leaving; TLS CH-46 Sea Knight helicopter landing on USS Blue Ridge aircraft carrier. B/W: GV buildings on fire. Pan as helicopter approaches young American GIs on the ground, one holds his weapon over his head, another in the FG talks on field telephone. Several shots of wounded GIs being moved on stretchers into belly of helicopter or plane. GV two rows of dead GIs, on cots & covered with blankets. More images of wounded being moved via helicopter. MCU American GI. (Color) Panning LSs Douglas A-1 propeller fighter bombers dropping naplam on a Vietnamese jungle, creating large phosphorous flashes. MSs US infantry soldier hoisting an M-60 machine gun over his head while wading through thick brush, then stalking through jungle. TLSs U.S. marines advancing through a cleared village; MS marine firing .45 calibre handgun. Aerial of American soldiers deploying from UH-1 Huey helicopter on mountain in Vietnam, Huey taking off. Aerial two CH-47 Chinook helicopters in rice paddy. Aerial several Ch-47 & UH-1 helos in rice paddy. TLSs UH-1 attack helicopter gunship flying toward cam. MSs side door machine gunners firing on paddies. 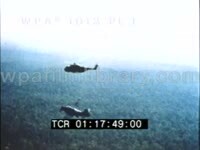 Air to air shots of Hueys flying over Vietnam. Military. Vietnam war. Combat. Battle. Weapons. MSs of the U.S.S. Pueblo Crew held captive by the North Koreans; TLS Pueblo crew playing basketball. Cut to montage of international violence broadcast on network news: TLS Chicago police beating protesters during Democratic National Convention; TLS A-1 Skyraider planes dropping napalm bombs in Vietnam; MS infantry soldier firing M-60 machine gun; etc. 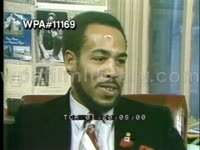 MS ABC network news chief testifying to a Senate Sub-Committee in 1969 about violence on TV: "We have a continuing obligation to reflect accurately & impartially the the world around us. We can do no less. We must tell it and we must show it... To close our eyes to the realities of our time & attempt to substitute a bland & polyanna view in our news would bethe greatest disservice we coul render to the American public." Color: MS helicopter cockpit w/pilot at controls, lush Vietnam landscape w/dirt road seen below. POV from helicopter of military convoy moving along dirt road. MS helicopter pilot at controls, pan right to view of mountainous Vietnamese landscape. TLS suspected Viet Cong (hooded) being hauled from a Marine transport helicopter in field.